Renowned "camera collector" Jason Schneider is out there scouring camera stores, Internet sites, and camera shows to bring you the best bargains in user collectibles, recent gems, and vintage gear. Presuming you haven't been meditating in a cave in Tibet for the past few years, you know that the prices of medium format film cameras have plummeted, and you can snag them at amazingly low prices--even Hasselblads, Mamiyas, and Rolleis. 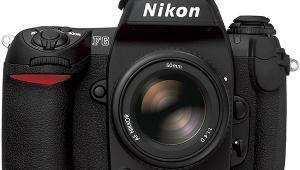 Well, the same dynamic has affected the prices of 35mm SLRs. As full-time pros and weekend warriors switch to digital, they trade in or sell their Nikon F5s, Canon EOS-1Ns, and other high-end 35mm SLRs, creating a supply-side glut. Coupled with reduced demand, it irrevocably results in lower prices. Film Camera Deal Of The Month! A rugged, professional workhorse camera, the EOS-1 was Canon's top pro model when introduced. A durable classic, it's compatible with the full line of EF-mount Canon lenses that work on Canon EOS digital SLRs. Features include: Program mode with Vari-Shift, Shutter- and Aperture-Priority, Depth of Field AE, Manual, TTL and A-TTL flash, six-zone evaluative metering with Partial and Spot, shutter speeds from 30 seconds-1/8000 sec, continuous shooting at 2.5 fps (faster with booster), nine-frame multi-exposure, full-info finder, and LCD. The EOS-1 is a shooter's camera par excellence and equivalent to costlier Nikon models in terms of performance, but its collector value is limited. How much lower? Marty Holland of Adorama's (www.adorama.com) used camera department lists clean Nikon F5 bodies at $700, F4S and F100 bodies at $500, and the late, great N90S at a paltry $200. Bread-and-butter models are even cheaper. 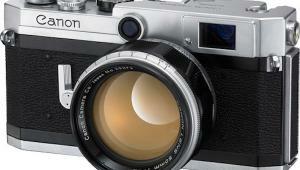 How about a Canon A2E with eye-controlled focus in excellent shape for $170! What 35mm SLR can possibly hold its value in the face of such an onslaught? Would you believe the humble manual-focus Pentax K1000, the Volkswagen of SLR-dom, sells for $180-$220 with a 50mm f/1.7? Digital Camera Deal Of The Month! With its fashionable form factor, this 5-megapixel metallic beauty combines substance and style. 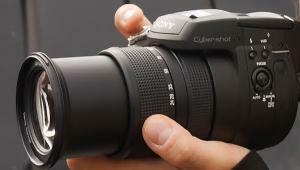 It has a 3x (35-105mm equivalent) optical zoom, 2" LCD, and supports USB 2.0. Other features: nine-point AiAF with autofocus-assist beam, shutter speeds from 15 seconds-1/1500 sec, and a 2.1 fps burst rate. At 3.4x2.1x0.82" it will fit in a shirt pocket and weighs only 4.6 oz (body only). Sam Stern of B&H's (www. bhphotovideo.com) used department reports a similar pattern--he'll sell you a Nikon F5 body in excellent plus condition for $799, and a similarly pristine EOS-1N for $399, but a really clean manual-focus Nikon FM2 with a 50mm f/1.8 goes for $329, and a near-mint one for up to $100 more. Pat Mulharin, general manager of KEH (www.keh.com), offers a mint minus Nikon F100 body for only $484, but a Nikon FM2 in similar shape with a 50mm f/1.8 is $444. Go figure. 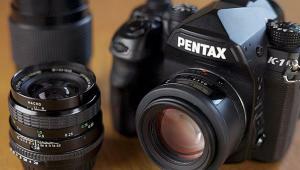 A near-mint Pentax K1000 with a 50mm f/1.7 will set you back a staggering $258 because "the K1000 is still king--the most recommended camera by teachers of photo courses." Examples in average shape run about $200. I also found this month's Film Camera Deal of the Month at KEH, a near-mint Canon EOS-1 offered at $286. 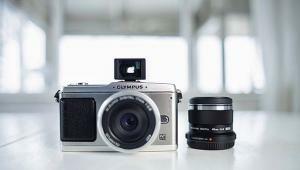 The hot news on the emerging used digital camera market can be summed up in two words: digital SLRs. As digital SLR owners trade up to their second and third models, and demand is still high among new digital SLR buyers, the used digital SLR market has perked up considerably. With new 8-megapixel Canon EOS Digital Rebel XTs going for $804 net with an 18-55mm lens (about $879 plus $75 Canon rebate) you can now snag the original Digital Rebel with the same lens in very nice shape for $500 or a bit more. At the other end of the digital SLR spectrum, B&H is offering pro 12-megapixel Canon-refurbished EOS-1Ds bodies at $3995 and EOS 10Ds at $789. 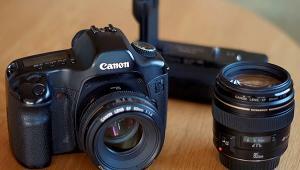 The Canon refurbs I've seen are outstanding, both cosmetically and operationally (I bought an EOS 20D refurb myself). 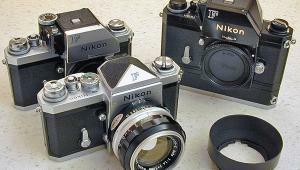 Understandably, older digital SLRs decrease in value as new models appear, but Nikons seem to hold their value pretty well. 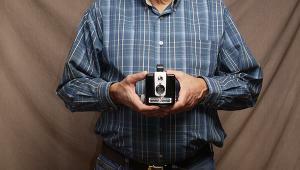 An old 2.65-megapixel D1 in clean shape still brings $525, and a near-mint D100 body runs about $750 at KEH. These prices may slip as the new D200 hits the market pipeline. A used Nikon D70 body in excellent plus condition is about $665. 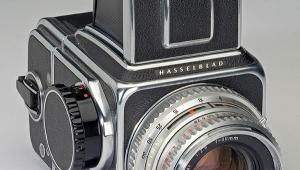 Just how much do you save in buying a used digital SLR? Well, B&H will sell you a clean, used Fuji FinePix S2 for $1100, and a new one runs $1800, a savings of nearly 39 percent--not bad. 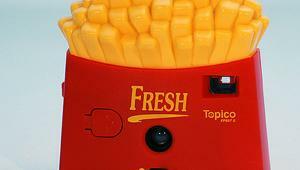 What about used digital point-and-shoots? A few years ago you gave them to your nephew, but a robust market is starting to emerge among models that are not too old and offer 3.2-megapixel resolution or more. One big dealer reports that "One model back from the current model is starting to sell, but with older models we can't offer the seller enough--the price change is too dramatic." 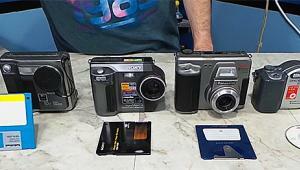 Some used point-and-shoot examples: The 3.34-megapixel Nikon Coolpix 990 (which has a cult following due to its unique "flip-in-the-middle" design), $179; Sony's formidable 8-megapixel Cyber-shot DSC-F828 with through-lens electronic viewfinder and wide-range zoom, $645 in excellent plus condition; and this month's Digital Camera Deal of the Month, Canon's elegant, compact 5-megapixel SD400 at $199.95. In terms of picture-taking performance per dollar, a late-model used digital point-and-shoot is definitely an attractive option.